Congress has designated September as National Spinal Cord Injury Awareness Month. According to the National Spinal Cord Injury Statistical Center, there are an estimated 276,000 people living in the United States today with a spinal cord injury – whether it is from car accidents, falls, sports injuries or work-related accidents. The spinal cord, which passes through the neck and back, contains nerves that carry the messages between the brain and body. When a traumatic blow impacts a person’s spine, he or she may experience a variety of symptoms based on the location and intensity of the trauma. For those who have weakened spines from arthritis or osteoporosis, a lighter impact to the spine may cause significant damage. Spinal cord injury symptoms include paralysis, weakness, numbness, increased muscle tone and spasticity, neurological impairment and pain. However, the parts of the body that are affected change based on where the spine was injured. Bacharach’s CARF-accredited spinal cord injury offers comprehensive rehabilitation services to provide emotional and physical support for those affected by a spinal cord injury and their families. In addition to having access to a team of specialists, spinal cord injury patients can use state-of-the-art technologies, including the ReWalk exoskeleton, local injections, Bioness electrical stimulation and baclofen pump – all technologies that are designed to improve the lives of those affected by spinal cord injuries. 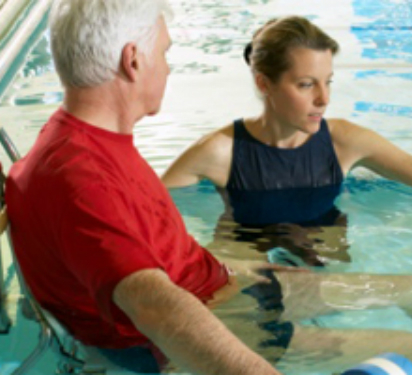 Bacharach has a range of support groups and clinics for both inpatients and outpatients, such as a wheelchair clinic, spasticity clinic, pool therapy, emotional support group, swimming program and prone paddling program. Therapists, volunteers and coaches work together to provide a continuum of care and give spinal cord injury patients the opportunity to get involved once their treatment is finished. To learn more about how Bacharach’s spinal cord injury program can help you or someone you know, please call 609-652-7000.